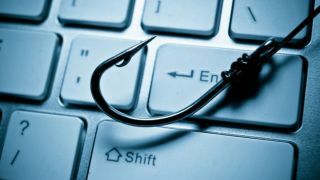 New research from Kaspersky Lab has revealed that the number of phishing attacks rose by 27.5 per cent to reach over 137m in the third quarter of 2018. According to the security firm's 'Spam and phishing in Q3 2018' report, 137,382,124 attempts to visit phishing sites were detected, which is more than half of the number of visits recorded during all of 2017. The fast growth of phishing attacks is a continuation of a trend set earlier this year and these attacks have increased every quarter. Of the businesses targeted by cybercriminals, the finance sector was hit especially hard with more than a third of all phishing attacks launched in Q3 aimed at banks, payment systems and e-commerce companies. Last quarter this figure was at 20 per cent and this trend will likely continue throughout 2018. The country with the highest percentage of users attacked during the third quarter was Guatemala at 19 per cent which lead it to surpass the leader of the previous quarter, Brazil. However, Brazil saw the second highest percentage of users attacked with 18.6 per cent. Third place was taken by Spain with 17.5 per cent of users subjected to phishing attacks.